Top Countryline Bonotto Hotel Belvedere Bassano del Grappa, Hotel Italy. Limited Time Offer! 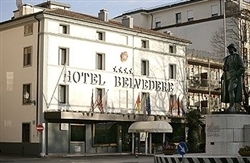 The TopRead more Countryline Bonotto Hotel Belvedere is a four star Luxury establishment has all the comforts such as : Restaurant, Room Service, Bar, Laundry.13 minutes by car distance from the center, this hotel is located at Via Generale Giardino, 14, in the east section of Bassano del Grappa, which is ideal to discover the city.This hotel offers a unique service : conference facilities.Take advantage of the massage which is available at the hotel.The Sant'Angelo airport is about 65 minutes by car from the hotel (20 miles ).Other useful information:This hotel has a parking.